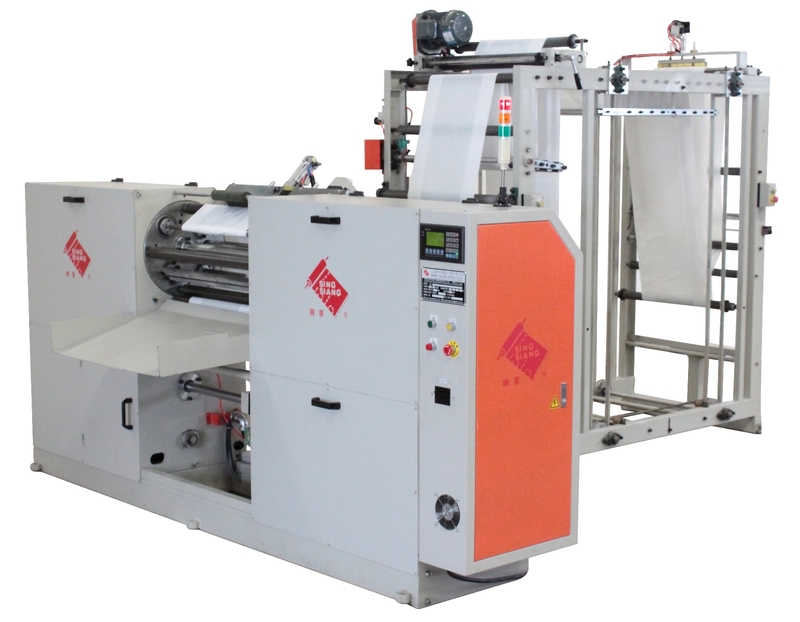 By installing one AJ-300CLS Winders, your flatbag machine can be transformed at a low price into a flexible machine which can produce bags on the roll as well. AJ-300CLS Winders can be attached to existing machinery regardless of whether the line is for in-line or out-of-line operation. Advantages of the new winding principle are: tight and firm rolls, easy and quick threading, operation by keyboard with display, independent, movable unit, few movable parts and reduced maintenance.